No more fashion victims. Conscious shopping made easy. COSH! is conscious shopping made easy! When you as a shopper read something about the unethical working conditions, or water scarcity, poisoned rivers and soil erosion due to the fashion industry in your favourite magazine or on tv. You become aware of the pollution and inhumane working conditions. You pledge to change your buying behaviour, but maybe you don't know where to start, or are you overwhelmed by the amount of information available? Let COSH help you! Download the COSH app today. So how does COSH work? 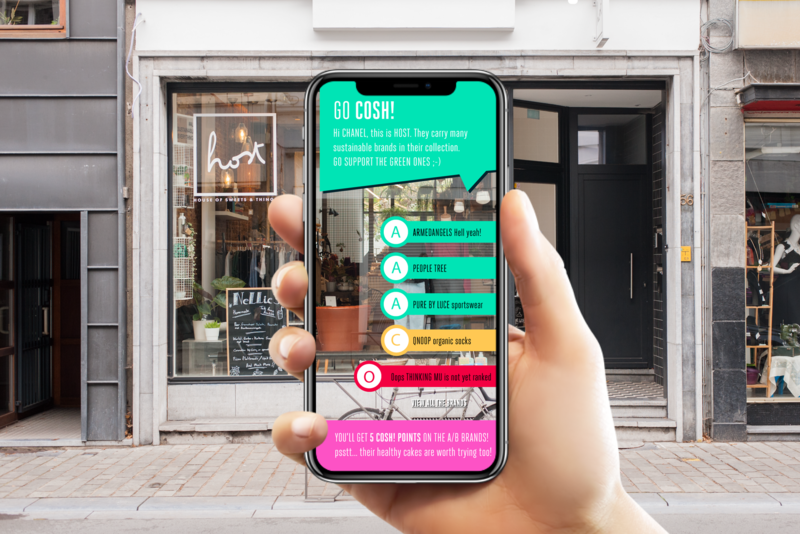 Discover how COSH connects consumers with ethical and conscious brands selling in highstreet shops near you. Convinced? Sign-up to get first access to COSH! before anyone else!